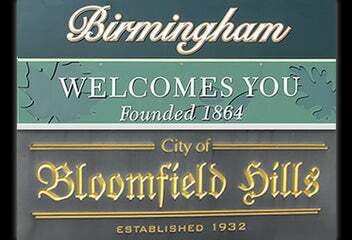 Birmingham is an upscale and fully developed community that has seen growth since the 1900s. Older homes are being renovated with sophisticated designs and doubling or tripling the square footage of the small bungalow style homes that were so popular. Bloomfield Hills is comprised mainly of beautifully designed single family residential homes. Small lakes and winding country roads give way to estate size lots with some being nestled behind ivied walls and lush landscaping. The city of Brighton offers all kinds of shopping and restaurants along Grand River and still has its own quaint downtown area with unique shops and dining. The city covers 2.9 square miles while the township is 34 square miles. Exemplary schools have been recognized on both state and national levels. Brighton and Brighton Township offers housing for every taste and a variety of recreational activities within minutes. A great place to live, work and play. 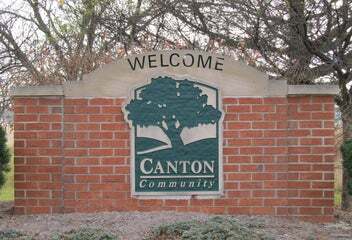 A 36 square mile community, Canton has grown leaps and bounds since being established over 150 years ago. Home to a multitude of restaurants, shopping centers, a multi theater movie complex, a nature preserve and several Huron-Clinton Metroparks, there is always something to do. This city boasts many established subdivisions and apartment complexes as well as newer homes, so there is something here for everyone. Summer cottages have been replaced in this Lakes Area with pockets of stunning year round homes. A heavily wooded township with a string of lakes running through it, the scenery is beautiful. Home to Proud Lake Recreation Area, easy freeway access, and lots of retail shopping. This small community has big appeal. Farmington Public Schools are fully accredited and meet the rigorous national standards for quality education. A family oriented community, Farmington and Farmington Hills has a full service program for youths and senior citizens as well as family programs. A great location 40 minutes from downtown Detroit and 35 minutes from Metro airport. The epitome of small town America, Milford is a charming community. Many visitors are attracted to the restaurants and recreation, including Kensington Metropark with over 4,000 acres of hiking/biking trails, woods, a lake and many beaches. Downtown is home to unique shops and restaurants in an historic setting. The elevation provides some spectacular views. A great place to live and work, Northville offers an excellent school system and perfect location for commuters. Downtown Northville boasts a wonderful old world feel with unique shopping and restaurants, Victorian architecture and old fashioned store fronts. Year around events and entertainment add up to a great place to call home. This community saw a surge in population growth in the 1990’s. It’s location to expressways, shopping and dining continue to make it popular still. Accredited schools are a big draw for families and Twelve Oaks Mall serves Novi and the surrounding communities offering a variety of stores and restaurants. One of a kind shops and restaurants define downtown Plymouth. With a plethora of services, events and entertainment this city is real “hometown”. Plymouth seemingly has it all and remains one of the most active communities around. Conveniently located to freeways and close to Metro Airport and an easy commute to Detroit as well as Ann Arbor, Plymouth is a treasure. A thriving, mostly residential community, Rochester/Rochester Hills has always been an attractive place for young people to call home. A central shopping district is home to mostly local businesses with national stores, chains and malls nearby. Downtown Rochester has that old fashioned feel with beautiful parks and historical buildings. Many parts of this area have been preserved to maintain the beautiful terrain. Proud of its rich history, South Lyon has done a great job preserving the turn of the century buildings in the downtown area. Lyon Township surrounds the city and still boasts a number of horse farms. Island Lake State Recreation Area, many golf courses in the area and miles of off road bike trails entice those that love the outdoors. An award winning school system rounds out this ever growing area. Lake communities and country clubs abound with 25 lakes in West Bloomfield. Beautiful, lavish homes have replaced Detroiters summer cottages, some of which have won national awards. West Bloomfield has no designated downtown, but there are many restaurants, small malls, boutiques and offices nearby. 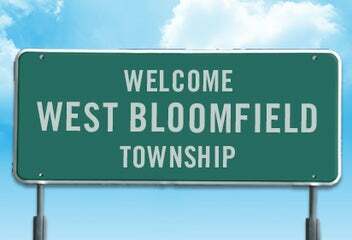 There is a reason so many have flocked to West Bloomfield throughout the years. With large portions preserved for state recreation areas and a county park, White Lake has very little commercial development. Located in the middle of Oakland County, the township offers some of the best summer and winter recreation. A nature center, nature trails for walking, golfing, a bike trail and picnic areas are just some of the amenities for the outdoorsman. Older homes mixed with new make White Lake Township a popular draw for many people.